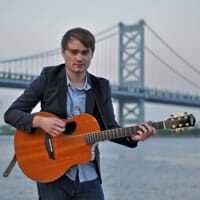 Dave Bakey is a touring/studio musician based out of Philadelphia. He currently plays guitar, bass, banjo and mandolin for platinum artist Celtic Thunder as well as Billboard number one artist Keith Harkin. Aside from extensively touring through America, Canada, Australia and Ireland playing country, bluegrass, fingerstyle and pop music Dave also plays in experimental, progressive, rock, reggae band Tsunami Rising.